Culinary treasures based on local traditions can be found between the whitewashed walls of the homelike kitchen. In particular, La Frasca, in the heart of Borgo Egnazia, preserves the recipes that have been handed down from generation to generation and that only use the freshest products of our land. The name, La Frasca, is inspired by the ancient custom of hanging a twig over the door signalling a place where a traveler could find a welcoming tavern, indicating the presence of good wine and good food. Here, the walls are decorated with artifacts and tools reflecting rural life, inspired by the countryside and the harvest. 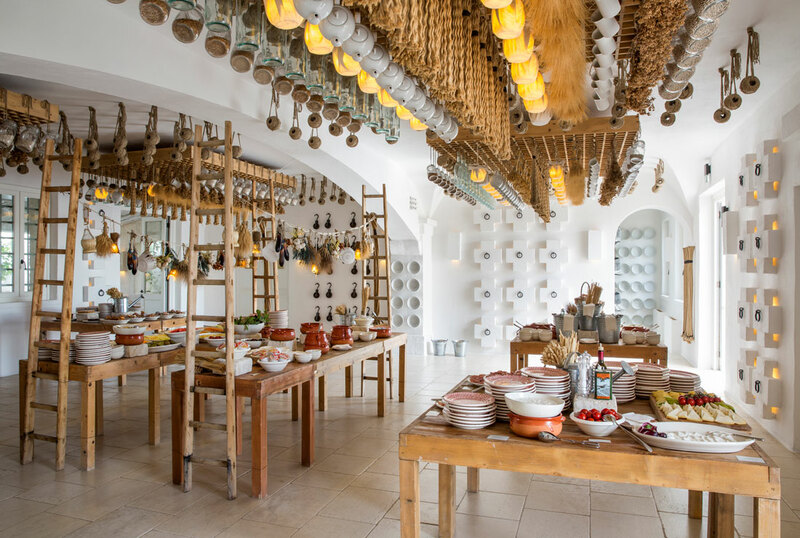 The white vaulted rooms resound with the laughter of friends and with the voices of families chatting among the numerous bottles of locally produced wine, enjoying their time among the dishes, flavors and fantasies of Puglia..